A Progressive Dinner that includes appetizers, dinner, desserts and an after-party at four unique venues on Main Street. Open bar, 21+. Raffle and Live Auction. Transportation provided. Eat your way through the place that literally has everything to do — Main Street. Join us on October 6 for a night of fun and delicious fare in the historic heart of Louisville at our biggest event of the year. Free transportation between courses. Open bar, 21+. Raffle, Live Auction. The Unofficial After-Party — The Bristol Bar & Grille Downtown / 10:30 pm - ? 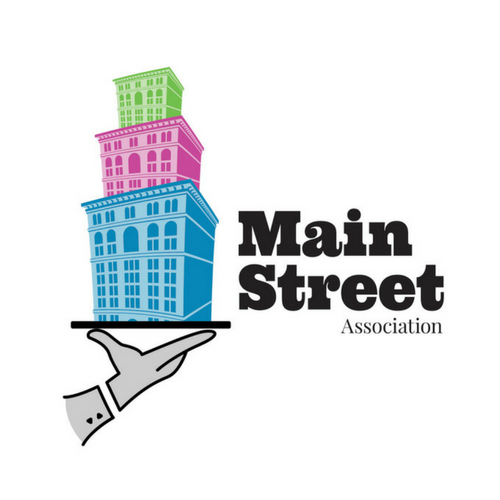 Proceeds from this event benefit the Main Street Into the Schools program, as well as promoting the economic vitality of the street and literally everything there is to do on it. You can also help support our efforts through buying a chance in our two different raffles, as described below. PLEASE NOTE: A purchase of a Raffle Ticket for either raffle DOES NOT include a ticket purchase to the Progressive Dinner. That is a different ticket purchase, with an additional fee. The Main Street Party Package raffle at the Ice House includes a $1,000 voucher for catering, free venue space for up to 200 people, and a bar package of one drink ticket per person. Blackout dates include: Saturdays in prime season, holiday weekends, Thunder Over Louisville, Derby Week. Good until October 31, 2018. $100 each ticket. Only 100 will be sold. The winner will be drawn at the Progressive Dinner on October 6, 2017 at the Ice House at 9:00 pm. Winner does not have to be present to win. License # EXE0001222. Your ticket will be mailed to you. The Front Row Seats* on Main raffle includes the following: Actors Theatre — two tickets to five plays in the Humana Festival of New American Plays; Kentucky Author Forum — two tickets to an event and dinner of your choice during the event season; The Kentucky Center — two tickets to see The Second City's "Cure for the Common Comedy" on November 10; Louisville Bats — two tickets to a game during the 2018 season; Lincoln Performing Arts School — two tickets to the annual spring play; Louisville City FC — two tickets to a game during the 2018 season. $25 each raffle ticket. Only 400 will be sold. The winner will be drawn at the Progressive Dinner on October 6, 2017 at the Ice House at 9:00 pm. Winner does not have to be present to win. License #EXE0001222. Your ticket will be mailed to you.